Yes, when I detest a food and then I start liking it, I go all fangirl on it. Currently, that’s beets. 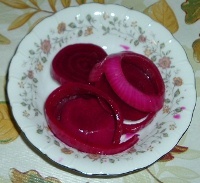 I got some beautiful fresh beets at the farmers’ market last week, and buttered some and pickled some with onions. 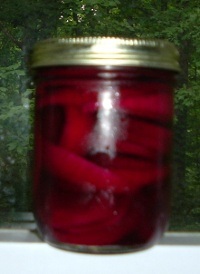 Here are the pickled ones. Now, whether you like to eat beets or not, you can’t tell me these aren’t pretty. I boiled the beets in salted water, cooled them, skinned them, sliced them, sliced some onions, and put beets and onions in clean jars. Then I mixed two parts water to one part white vinegar, poured that over them, and put them in the refrigerator. Next time I do it, I’ll heat the water/vinegar to boiling, put just a smidge of sugar in it, and pour the hot mixture over the veg. The onions could have done with being a bit soft. Not cooked, just cooked-ish. They’re still good, and still pretty. I was hoping to make borscht, but I couldn’t get hold of any organic sour cream. Maybe I’ll just do without, next time I get some nice, fresh, local beets. I’m posting at Fatal Foodies today about cooking with cucumbers. Yes, cucumbers! Don’t be such a stick-in-the-mud! A WRITING PROMPT FOR YOU: A character is forced by circumstances or accident to cook something he or she doesn’t normally consider a cooked food. 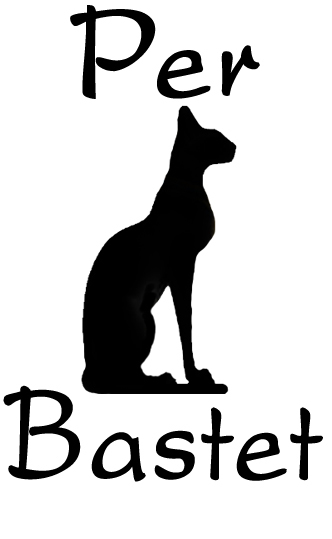 This entry was posted in Food. Tagged beets, cooking, recipe (sort of), vegan, vegetarian. Sounds like our culinary careers in school. Except we were even more creative with what we were cooking IN than what we put in it. My recipe for tuna fish cassarole counted down the crackers to an exact number. Then one can each mushroom soup (Campbell’s) and the can of tuna. And the pizzas! How did we get the crust cooked on the bottom in the very basic toaster “oven” we used? Just turned that baby upside down so the cooking element was adjacent to the bottom. I am so glad we didn’t burn down the dorm. I used to cross two wire hangers over the heating element of a popcorn popper — the only cooking device allowed in my dorm — and put bread on it to make toast. The well of the popper was great for frying, boiling, and (with care) as a Dutch oven. Ah, good times, good times.